With a unique, innovative design Inthys + fits perfectly in all styles of home. Rounded corners, soft outlines; the Inthys is an ideal heating source or its own or a perfect complement to your existing radiators. The vertical version has been specially designed for space constrained applications. 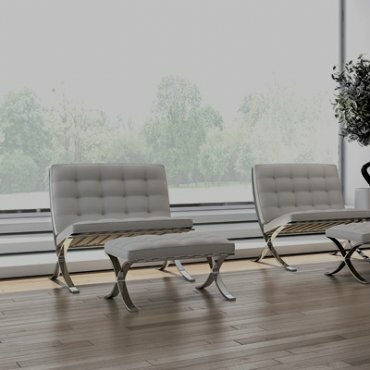 Inthys + easily fits into the living room, freeing space for your furniture and decorations. Intuitive, controls with a white backlit display means that the programme is easy to set and the temperature is easy to read. 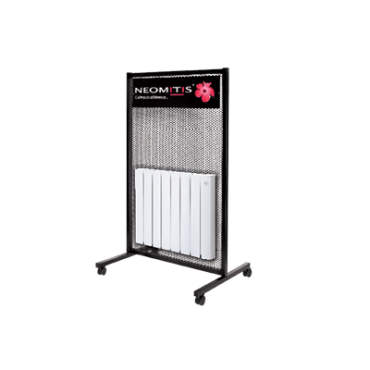 The child anti-tamper is built into all Neomitis heaters with control lock to prevent un-intentional changes in set point. High emission surface diffuser distributes heat throughout the room and preserves the quality of the air, giving a nice warm feeling. In new build or renovation, Inthys + is recommended for both private and rented accomodation thanks to the occupancy detection and lockable features. Virtual user guide for controlling your heater. > Ergonomic and intuitive, interactive instructions Néomitis® guides you step by step in the use of your device.